D Toys has released two new sets DT35-66 and DT35-67. First I want to say that it is always a good day when we have more HMMWV kits or related accessory sets produced. Mario Matijasic reviews one of the latest Live Resin releases: "US Army M240B/M249 Military Systems Group Inc. SA-1 Swing Arm with H24-6 Machine gun Mount" [set LRE-35018]....US Army M240B/M249 Military Systems Group Inc. SA 1 Swing Arm a double articulated gun mount support with H24-6 Machine Gun Mount. I added about 20 new photos to the M1101 High Mobility Trailer photo album. The new photos show the NATO 3-color cargo cover in place. The photos also show detail of the camouflage cover support framework. Although the title of the article is 'Army cancels Humvee Recap, places bets on JLTV', the article states the program is only being reduced in order to use the money to fund the purchase of vehicles from the JLTV program. I added a 28 photo album of an M1151 Armament Carrier built by Juan Carlos. He built the HMMWV using the Tamiya M1025 as the base kit using the Legends M1151 conversion. Check it out! I added two new model photo albums tonight. First one was a 5 photo album of an Israel M997 Hamer David ambulance by Christophe Jaquemont. 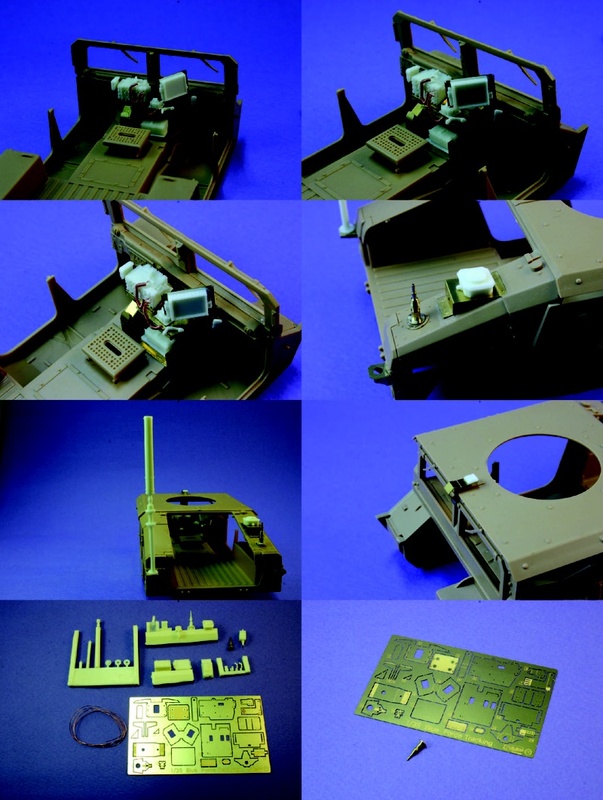 The second album was a 42 photo album of an M1114 Armament Carrier by Juan Carlos. Thank you to both of them for the contributions. I added a 193 photo walk-around of an M1025R1 Armament Carrier that I took today. You will find the album in Model & Vehicle photo page. I added a 15 photo review of the REAL MODEL M1037 HMMWV Shelter. Mine has a casting fault and is missing some parts. I will let you know if I'm able to get it replaced by the vendor or manufacturer. You will find it on the ' Real Model' page in the Model Kits & Accessories section. 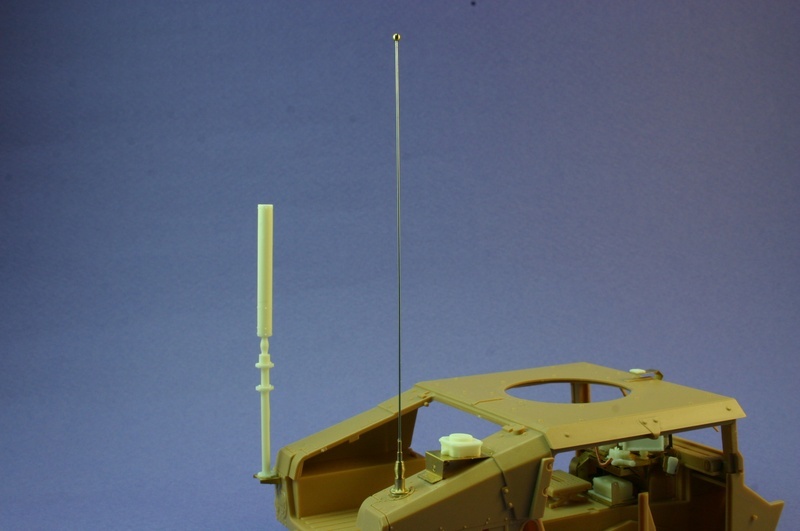 Voyager has announced two new HMMWV antennae sets on their website. I have uploaded the images to the Voyager section here. The item titles are also direct links to the manufacturer item page.